That’s the way Time put it when it introduced Calico in a splashy cover story. And while some prefer the softer terms “anti-aging” and “life extension” to describe Calico’s aims, make no mistake: It’s the latest well-funded effort to discover treatments that slow down, arrest or reverse the gradual process of atrophy that makes us all older and more vulnerable to disease. If its ambitions seem outsized, its creator has company in Silicon Valley, where audacious goals occasionally take form as hundred-billion-dollar companies just a few years after they’re dreamt up. Calico – short for “California Life Company” – hasn’t revealed much more since its September launch, but it hired a few more industry vets and academic figures during the fall. Former Roche EVP of global product development and chief medical officer Hal Barron will lead Calico’s R&D. Ex-Princeton prof David Botstein, who ran the university’s Lewis-Sigler Institute for Integrative Genomics and won one of those Breakthrough Prizes, signed on as Calico’s chief scientific officer. Both are Genentech veterans. Also, former Genentech Senior Oncology Fellow Bob Cohen was named a Calico Fellow, while UCSF professor and researcher Cynthia Kenyon signed on as a Calico scientific advisor. 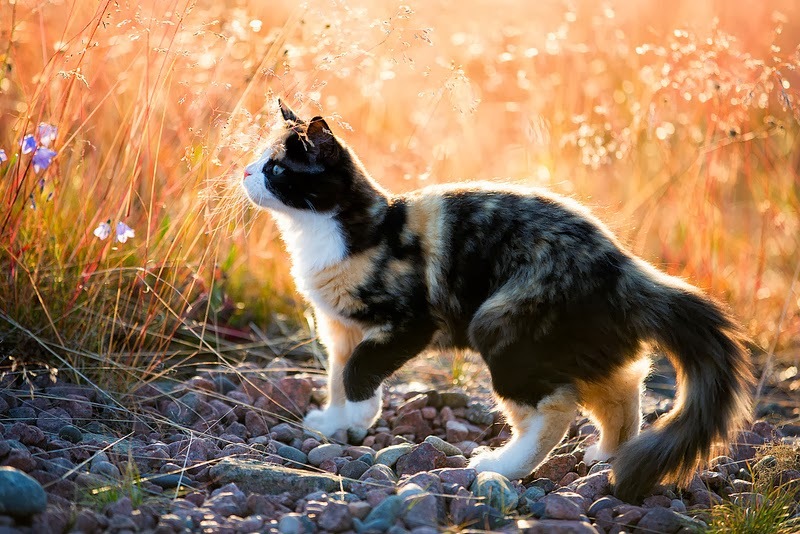 Thanks to Flickr user UlfBodin for the photo of a sun-kissed kitty, reproduced here under Creative Commons license.